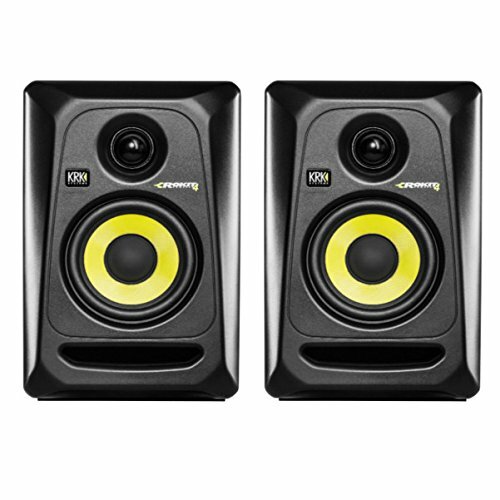 KRK's Rokit 4 G3 (Generation 3) powered studio monitor offers professional performance and accuracy for recording, mixing, mastering and playback. The system consists of a 1-inch soft dome tweeter and 4-inch glass-Aramid composite woofer. It delivers high frequencies up to 35 kHz, vocal clarity and extended bass response. The proprietary bi-amped, class A/B amplifier grants SPL up to 102dB. The ROKIT waveguide is designed to ensure detailed imaging in the listening position. The front-firing bass port reduces boundary coupling to allow flexible positioning in the room while the engineered surface reduces diffraction distortion. Multiple input connections ensure the ROKIT 4 G3 will easily integrate in any system configuration. The ROKIT 4 is the most compact solution of the KRK ROKIT series, perfect to fit smaller rooms and any desktop application. If you have any questions about this product by KRK, contact us by completing and submitting the form below. If you are looking for a specif part number, please include it with your message.